Why a Digital Marketer Firebrand Apprenticeship? What is a Digital Marketer Firebrand Apprenticeship? Digital Marketer apprentices are taught how to define, design, build and implement digital campaigns across a variety of online and social media platforms to drive customer acquisition, customer engagement and customer retention. They'll be responsible for some of the straightforward elements of the overall marketing plan or campaign. Demonstrate competence against three knowledge modules: Principles of Coding, Marketing Principles and Digital Marketing Business Principle. These are assessed by examinations set by the British Computer Society and regulated by Ofqual. Apprentices must pass all three modules. Successful Digital Marketer apprentices go on into roles such as a Digital Marketing Assistant, Digital Marketing Executive, Social Media Executive, Content Co-ordinator, Email Marketing Assistant, SEO Executive. respond efficiently to enquiries using online and social media platforms. Apprentice will achieve two BCS knowledge modules and one vendor qualification. What are the benefits of a Digital Marketer apprenticeship? Explain why information security and its management are important for a digital service organisation. Explain the key features of an organisation's information security policy and their impact on ways of working. Summarise the importance of following organisational policies and procedures relating to information security. Explain the main provisions of the Data Protection Act, Copyright and Intellectual Property and predict the consequences of data misuse. When do Digital Marketer apprentices train? Who can enroll on a Digital Marketer apprenticeship? 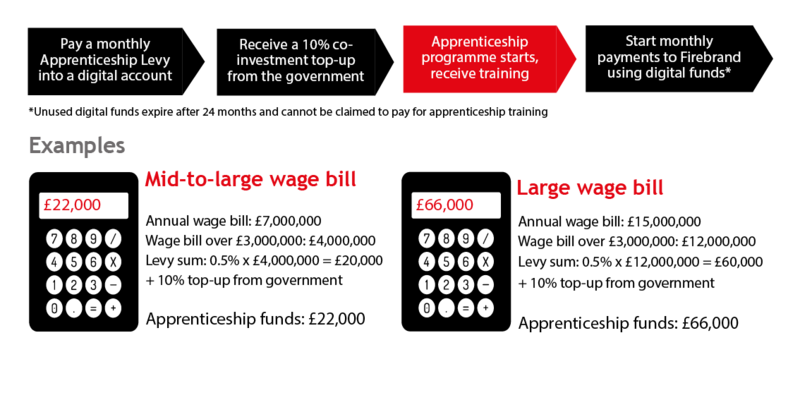 How much does a Digital Marketer apprenticeship cost? How are Digital Marketer apprentices assessed? What does a Digital Marketer apprentice's journey look like?